This article needs to be updated with material from Historical: War of 3039, Operational Turning Points: Falcon Incursion, Field Manual: SLDF, The Wars of Reaving, Lethal Heritage, Technical Readout: 3050, Era Report: 3145, The Hunters, Combat Manual: Mercenaries, Dagger Point,First Succession War and Second Succession War (Sourcebook). Once this title clears the Moratorium period, or if it already has, please consider revisiting this article and updating it with the new material, removing this tag once all information has been added. The Eridani Light Horse is one of the largest and oldest mercenary units in the Inner Sphere. The unit has strong traditions and predates the fall of the Star League. The Eridani Light Horse trace their history back to 2702 when the 3rd Regimental Combat Team (called an RCT) was formed. The unit consisted of four regiments - two Striker regiments and two Light Horse regiments. In 2749, the commander of the 3rd RCT was assassinated by the Prince of Rasalhague. The unit immediately mobilized and occupied the major cities on all the worlds in their district. When the Prince sent troops to the city of Eridani on Trondheim, the 3rd RCT repelled them easily. A journalist, sympathetic to the 3rd RCT, reported that the RCT forces had scattered the Prince's forces "like spirited Eridani stallions chasing after fat, clumsy Luthien cows". After the public embarrassment, the Prince had no choice but to prosecute the assassins; the unit's appellation stuck. Following the death of the First Lord the unit saw extensive action in the Periphery. However, once the unit learned of Stefan Amaris's treachery, the unit decided to act against the usurper. Colonel Ezra Bradley, the unit commander realized that direct assault against Amaris would not be possible, so he adopted a policy of raiding some of the weaker worlds near Terra to disrupt the usurper's defenses. The plans worked until the 19th Striker Regiment assaulted Amity. Unbeknownst to the Light Horse, a traitor had relayed information to Amaris and the regiment met three heavy regiments. The 19th Striker regiment was completely destroyed in the ensuing battle. The Light Horse was able to avenge the loss of the 19th Striker with a series of vicious battles that eventually resulted in the liberation of Terra itself. In the chaos that followed the elimination of Amaris, the Light Horse returned to the Rasalhague district awaiting orders from General Kerensky. 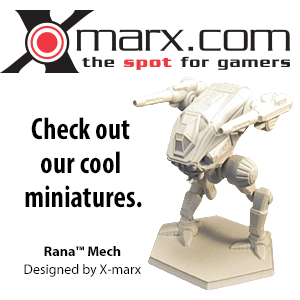 The unit received orders to join the other Star League Defense Forces in leaving the Inner Sphere. The unit felt an attachment to the area stronger than its loyalty to Kerensky and decided to remain - only a few lances of the RCT left with the other SLDF units. It is said that the 80th Heavy Cavalry Battalion, once commanded by Kerensky himself, took only thirty minutes before deciding to stay. On the day that Kerensky and the others departed, the members of the unit gathered and observed a moment of silence. They took down the flag of the Star League and lowered the Third Regimental Combat Team's standard to half-staff. Even through the Fourth Succession War, the unit maintained the tradition, requiring that one flag pole at the headquarters remain bare for the future Star League flag and that the unit's flag stay at half-staff. Upon learning of the massacre, the unit began plans to move to a more hospitable location. By June of 2798, most of the unit had started to move off-world. The 8th Recon and 50th Heavy Cavalry Battalions were awaiting the departure of their dependents from Sendai, when they learned that the administrator of the planet had taken the families hostage unless the 8th Recon and 50th Heavy Cavalry surrendered and turned themselves over to him. The units refused and, when the deadline passed, the administrator had all of the hostages executed. Once the 8th Recon and 50th Heavy Cavalry found out, they immediately returned to Sendai. There, in a week-long campaign, the battalions hunted down and slaughtered every political officer and Draconis Combine 'Mech they could find. Support forces from the Combine appeared but, once they learned of the administrator's actions, they quickly withdrew. When the battalions reunited with the main Eridani Light Horse forces, the unit commanders tendered their resignations for acting without orders, but they were refused. Instead, Colonel Bradley made the two battalions responsible for the unit's dependents. When the Third Succession War flared up in 2866, the Free Worlds League, pleased by the unit's performance, offered to improve the contract by offering access to League supply centers and titles to the officers. Many in the unit thought this was a betrayal of the Star League ideals they held dear. The leader of the dissenters, Major Johnson, was unable to come to an agreement with Colonel William Bronson and led all but a few officers and lances out to the Periphery. Colonel Bronson, meanwhile, moved his force just outside the borders of the League and began to recruit less desirable elements into his forces. The core of the Eridani Light Horse moved to the Periphery and eventually had to resort to farming to meet their needs. A raid in 2871 demonstrated to the unit leaders how desperate they were. They decided to seek employment with a house, provided that the house would uphold the honor and integrity of the Star League. The now Colonel Johnson was tasked with traveling to the Lyran Commonwealth to seek employment. The Archon agreed to all of the unit's terms, including a clause providing for control of a planet to house the unit's dependents. Colonel Johnson died while the unit moved from the Periphery to its new home of New Karlsruh. Jennifer Dirkson, his successor, adopted the rank of Brevet General to indicate command of all three of the unit's regiments while also demonstrating a willingness to resign should the unit members feel she was acting in too mercenary of a manner. Interestingly, the 82nd Heavy Cavalry Battalion eventually held St. John, one of the Eridani Light Horse's former charges from the Star League era. The unit served admirably from 2872 to 2945, providing strong support against encroachment by the Draconis Combine. In 2900, the 151st Light Horse Regiment landed on Radalah and quickly captured several cities on the planet. The 151st had been expecting only a small garrison, but soon was faced with a larger force - the elite 3rd Proserpina Hussars. The Hussars managed to cut off the unit's two recon battalions from the 50th Heavy Cavalry encamped at New Freisburg. The recon lances conducted a series of hit-and-run attacks, aimed at weakening the Hussars. Eventually the tactics paid off and the 50th Heavy Cavalry were able to break the siege of New Freisburg and depart the planet. The recon battalions' clever tactics against the much heavier Hussars earned it the nickname The Dark Horse Regiment. The Eridani Light Horse would face the Proserpina Hussars again in 2915, when the Draconis Combine launched an attack on Tamar using three 'Mech regiments - including the 4th Proserpina Hussars - along with twelve regiments of armor and infantry. Defending Tamar was a mixed force consisting of the Stealthy Tigers, two battalions from the Eridani Light Horse and five LCAF infantry and armor regiments. The battle for control of Tamar would last more than seven months before the Kuritan forces withdrew. Brevet General Jennifer Dirkson retired in 2926 and command passed to Montgomery Wilson, who also took the rank of Brevet General. Wilson split up the unit into battalions and launched numerous raids against Draconis Combine worlds. In 2946 the Commonwealth granted an extended leave to the unit, allowing it to recover from operations and rebuild the unit. Unfortunately for the unit, Commander Russel Bronson, son of the Light Horse's former commander, heard about the unit and, reneging on his contract to the Federated Suns, launched an offensive with his unit - Bronson's Horde - against the Light Horse's command on New Karlsruh. The attack caught the Light Horse completely by surprise. With only twelve hours to prepare, the unit split up, with the 8th Recon and 50th Heavy Cavalry taking the dependents to the safety of the nearby mountains while the other five battalions spread out to prepare for the onslaught. Bronson's Horde initially gained air superiority, but the Light Horse aerospace fighters rallied and were able to re-establish air superiority. The assault began to falter, but Bronson refused to be beaten. Gathering his forces, he sought out the Light Horse high command. Although Bronson's forces prevailed against the lighter Light Horse forces, the recon battalions soon outmaneuvered him and Bronson's 'Mech was shot out from under him by a barrage of missiles from Chippewa aerospace fighters. Bronson, unscathed despite losing his 'Mech, rallied his troops and fled off-world, vowing revenge. The entire raid was a boon to the Light Horse as they plundered a huge amount of material from the Horde. In 2978 Loric was the subject of a significant battle between Lyran and Free Worlds League forces; both the Eridani Light Horse and the 12th Star Guards found themselves in the middle of the battle, with the Eridani Light Horse in urgent need of relief after dropping into the Free Worlds League Military rear areas to cause havoc. The 12th Star Guards had managed to break through the main Marik lines at Digger Pass with the assistance of the 3rd Battalion of the 34th Provisional Dixie Armored Regiment after four months of combat, but stalled at an ad-hoc defensive formation of assorted League units along the Duren River, with the Marik forces keeping the Eridani Light Horse cut off from reinforcements. The 12th Star Guards tried using the Condor tanks of the 34th to breach the defensive line, the 34th having been at the forefront of the breakthrough, without success. The forces from the 34th managed to destroy some of the disorganized Marik forces despite being unable to reach the Eridani Light Horse, and the commander of the 3rd Battalion decided to hold the bridgehead his tanks had established to give the 12th Star Guards a chance to try and break through using their engineering company and their Engineering Vehicles to cut through the river banks and prepare the river bed for 'Mech movement, after attempts to build pontoon bridges failed due to heavy artillery bombardment and attacks from Marik AeroSpace Fighters. While the 12th Star Guards did manage to ford the river and relieve the Light Horse, the action cost them most of their engineering cadre and three out of their four engineering vehicles. The 3rd Battalion had managed to buy the 12th Star Guards valuable time by using the mobility of their Condors to concentrate highly mobile attacks on the Marik ground forces that attempted to attack the Star Guards' engineer forces directly. In 2998, the Light Horse was involved in a planetary assault against Kalidasa, a world in the Free Worlds League. 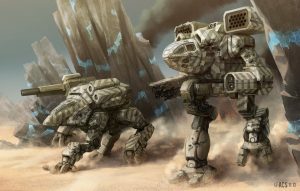 The core of the assault force was three regiments from Hesperus II, the site of a major Lyran Commonwealth BattleMech production facility. The 21st Striker Regiment and the 50th and 82nd Heavy Cavalry Battalions replaced the Lyran forces in the garrison. Marik launched an offensive against Hesperus II and realized that much of the world's defenders were missing. The League forces deployed nine recon companies on the planet to ascertain the strength of the defending forces. The garrison commander ordered the 21st Regiment out to destroy the enemy scouts, but the lighter and more agile Marik forces inflicted heavy damage on the Striker Regiment before the Light Horse unit could effectively engage them. The Free Worlds League sent four more regiments to reinforce its position on the planet and again, the garrison commander ordered the Light Horse units to engage the enemy forces. This time, however, the Light Horse refused. Instead, they deployed artillery along the route the Marik forces were expected to take. The Light Horse allowed two Marik recon companies to advance through the pass and then artillery shelled the area behind the recon companies, split the force in two, and sealed the pass. The recon companies were no match for the combined Light Horse and Commonwealth 'Mechs and the forces in the pass were sitting ducks for the artillery and Light Horse forces. The Marik forces broke through and retreated back to their planethead and left world. Eventually moods soured working under Steiner commanders, many of whom showed incredible incompetence. When contract negotiations between the Light Horse and Steiner broke down in 2999, Brevet General Kerston went to House Davion for a contract. A deal was inked in 3000 and the Light Horse left New Karlsruh for the Crucis March. Duke Davion revisited a prior Light Horse tactic and split up the unit into battalions which carried out what were primarily diversionary raids in Draconis Combine and Capellan Confederation space. In fact, some of these raids became full-scale invasions once the Light Horse units realized they could conquer the worlds themselves. As some of these raids were quite hazardous, the Federated Suns rewarded the unit with handsome bonuses. In 3007, they were sent to reinforce New Valencia, then-homeworld of Wolf's Dragoons, which was under siege by McCarron's Armored Cavalry. The Cavalry fled before the Light Horse landed, and so they never engaged the top Capellan mercenaries. Brevet General Kerston retired in 3023 and Nathan Armstrong succeeded him. Almost immediately the Light Horse found itself defending the planet Hoff from attack by Wolf's Dragoons. The Dragoons savaged the Light Horse forces, but they were able to turn the assault into a game of cat-and-mouse, preventing the Dragoons from seizing control of the planet. The Light Horse were able to hold off the Dragoons until Davion reinforcements arrived and drove the Dragoons from the planet. Hanse Davion was very pleased with the Light Horse's performance and allowed the unit time to rebuild itself. In the interim, the unit taught courses in Star League and Successor State history at the New Avalon Institute of Science. During this war the elite brigade played a minor role. The 71st Light Horse supported the 3rd Davion Guards, capturing the planet Algol from the CCAF. The defending 1st Ariana Fusiliers were no match for these experienced units. Later on Kawich the retreating Liao forces were tasked to destroy three supply warehouses. The force (containing units from different commands) were trapped and were no match for the three defending AFFS units (1st Davion Guards, 3rd Crucis Lancers, and 21st Light Horse). The Davion defenders destroyed each task force separately. For the rest of the war the Light Horse regiments were held in reserve to counter any assaults from CCAF forces. Between the Fourth Succession War and the start of the War of 3039, the Horsemen were transferred into the Lyran State Command of the new Federated Commonwealth. There they engaged in wargames against many Lyran Commonwealth Armed Forces units, training them to use mobility in addition to sheer firepower. Shortly thereafter, they returned to the Draconis March of the Federated Suns. The 151st, 71st, and 21st regiments attacked Fellanin II and Sadalbari in the first wave of the war. After destroying the planet's defenders the 151st and 21st regiments continued the attack, moving into the Galedon Military District to take control of the Galtor Thumb. The 71st Light Horse remained on Fellanin II to help pacify the world and to prepare for the next wave of attacks. Due to a bureaucratic error, the other AFFS forces on the world were redeployed at the same time, leaving the 71st as Fellanin's lone defenders. Unfortunately Theodore Kurita had different plans, and counterattacked Fellanin II with the 2nd Arkab Legion. These fresh Combine troops joined forces with the remains of the 4th Proserpina Hussars. The 71st Light Horse was caught boarding their DropShips and almost totally destroyed. It would be almost a decade before the 71st was back up to full strength. General William Petersen, commander of the Light Horse Brigade at the time, sent a scathing personal letter to First Prince Hanse Davion regarding the incident. During this time, it was suggested by other mercenaries that the ELH had effectively been incorporated into the AFFC due to the Federated Commonwealth's "Company Store" policies. In addition, the Horsemen had been given positions at the prestigious New Avalon Institute of Science teaching history and tactics. This time away from the front lines allowed them to rebuild the devastated 71st Light Horse. When the Clans invaded the Inner Sphere, the hope that had sustained the Eridani Light Horse for three centuries was destroyed. Instead of leading the Sphere back to a new Golden Age, Kerensky's children were taking it by blood and force. The ELH requested, and received, a year to come to terms with the death of their dreams. In 3052 they reported that they were ready for combat operations. The AFFC High Command posted them to Kikuyu, directly in the Clan Jade Falcon invasion corridor. The Falcons attacked the world with two Clusters in July 3053, destroying the 71st Light Horse. The 151st and 21st regiments set about rebuilding their sister unit once again. The rebuilding process ended in 3055, and the newly reactivated 71st Light Horse regiment repulsed every subsequent Jade Falcon attack. After facing the Clans for three years, the 71st's experience was put to good use as part of the coalition force that liberated Coventry from the Jade Falcons in 3058. Brevet General Ariana Winston attended the first Whitting Conference in 3058. Thinking she would simply be reporting on the Coventry defense, she was shocked when the attendees decided to re-form the Star League and asked the Eridani Light Horse Brigade to become the first military unit of the new Star League Defense Force. Their first assignment as part of the SLDF would be facing down Clan Smoke Jaguar. Rather than face them as part of Operation Bulldog, the ELH would be traveling the Exodus Road as a part of Task Force Serpent to destroy the Jaguars in their den. By sending the Light Horse regiments to the Clan Homeworlds, the new Star League wanted to shock the Clans. Including the Light Horse was calculated to show the Clans how the descendants of the original SLDF viewed them. With Task Force Serpent attacking Huntress and other Smoke Jaguar holdings while their invasion corridor was reclaimed by military units from across the Inner Sphere, the Smoke Jaguars were hit with a body-blow that ultimately destroyed them. The Light Horse, like all the Serpent forces, paid a heavy price for this success however, losing approximately 60% of their combat forces. On their way back to the Inner Sphere morale was low as the Horsemen anticipated the long decades of rebuilding their unit to it's full strength. They needn't have worried though. Upon their return to the Inner Sphere, the Eridani Light Horse, like the rest of the new SLDF, was overwhelmed by new recruits. These new soldiers replaced all the Horsemen who had fallen on the Clan Homeworlds and provided enough personnel to rebuild the long-destroyed 19th Striker Regiment as well. For the first time in nearly three centuries, the Eridani Light Horse Brigade was at full strength. Shortly after commissioning the 19th Strikers, the ELH moved into a Star League base on Dieron that the Draconis Combine Mustered Soldiery had refurbished for them. In late 3061, the unit was sent by Victor Ian Steiner-Davion as peace-keepers to assist the St. Ives Compact in the Capellan-St. Ives War. Despite their assistance, the Compact eventually fell against the Capellan Confederation in 3063. While attempting to land on Milos, the ELH Transportation Division faced the Elias Jung, a Capellan Confederation Armed Forces WarShip. This led Lieutenant General Ed Amis to request the SLDF provide WarShip support for the Light Horse. As of 3067 this had not occurred, but the ELH did take possession of several Assault DropShips that mounted capital missile launchers to provide some defense against WarShips. At the same time that the ELH was deployed to Milos, the 151st regiment was dispatched to Huntress to form the SLDF garrison on that world. While there, they demonstrated the skill and prowess that made them so famous throughout the Inner Sphere. They earned the respect of all the Clans on that world, particularly Clan Goliath Scorpion. Apparently the Scorpions found the traditions of the Light Horse, one of the few "true" units of the first SLDF, absolutely fascinating. After the 71st Light Horse took station on Huntress, the Scorpions transferred this curiosity to them. At the outbreak of the Jihad, the 21st Striker and 19th Cavalry regiments were based at Fortress Dieron, the 71st Light Horse regiment had taken station at Huntress, and the 151st Light Horse regiment was on its way back to the Inner Sphere after serving as the SLDF garrison on Huntress. The 21st Striker and 19th Cavalry regiments were trapped on Dieron by a Word of Blake blockade. Trapped in Fort Winston they were at ground zero for the Blakist assault. Approximately 90% of each regiment and the base were destroyed by tactical nuclear strikes. A few members of the 19th Cavalry and the Pathfinders special operations unit survived and evacuated Hohiro Kurita from Dieron in 3070. The 71st were cut off and alone in the Clan Homeworlds, and faced Trials of Possession from many Clans. The 151st had stopped at Columbus on their way back to the Inner Sphere. While the 151st was there, the planet was subjected to orbital bombardment from Blakist forces and every member of the 151st was killed. Through the early Jihad, The 71st Light Horse regiment fared the best of all the ELH units. Colonel Sandra Barclay received a challenge from the Clan Goliath Scorpion commander on Huntress for the Lootera complex and all the troops stationed there. Unlike the previous trials the 71st fought, this time they were defeated. According to an after action report, the Scorpions didn't follow zellbrigen in their trial with the Light Horse, which may explain the 71st's defeat. The majority of the survivors were taken as abtakha and formed the basis of two new light clusters, the 1st Eridani Lancers and the 2nd Eridani Lancers. Both units were destroyed in action between 3072-3073, during the Society uprising. The remaining personnel of the 71st, primarily the command staff and most talented MechWarriors, were scattered throughout Clan Goliath Scorpion primarily, with a few taken as isorla by other Clans. The commander of the Eridani Light Horse takes the rank of Brevet General, indicating command of the three regiments as well as embracing the commitment to the Star League values the unit holds dear. In memorial of the loss of the 19th Striker Regiment, whenever the three regimental commanders meet, a fourth place is set for the absent 19th Striker commander. Additionally, retiring soldiers that have served the unit with distinction become official members of the 19th Striker Regiment and receive a pin with the 19th's symbol, a rearing bronco. On the anniversary of the Exodus, a solemn ceremony takes place at the unit's headquarters. There, the Star League flag is run up the usually-bare flagpole. The unit commander then reads Colonel Bradley's communication to General Kerensky informing him of the 3rd Regimental Combat Team's decision to remain. The military band then plays the Star League anthem slowly and softly while the honor guard lowers the flag. ↑ House Davion (The Federated Suns), p. 147 (p. 148 PDF), "Eridani Light Horse"
↑ Mercenary's Handbook, p. 68, "Against the Usurper"
↑ Mercenary's Handbook, p. 69, "Evacuation"
↑ 6.0 6.1 Mercenary's Handbook, p. 69, "Return to Duty"
↑ House Kurita (The Draconis Combine), p. 75, "Military Hotspots"
↑ Technical Readout: 3026, Revised Edition, p. 8, "Ferret Light Scout VTOL"
↑ 9.0 9.1 9.2 9.3 Technical Readout: 3026, Revised Edition, p. 44, "Engineering Vehicle"
↑ 10.0 10.1 10.2 10.3 10.4 Technical Readout: 3026, Revised Edition, p. 52, "Condor Heavy Hover Tank"
↑ Wolf's Dragoons, p. 10, "Attack on New Valencia"
↑ 12.0 12.1 Field Manual: ComStar, p. 88, "Years of Quiet"
↑ 13.0 13.1 Historical: War of 3039, p. 90, "Fellanin II (August-September)"
↑ Historical: War of 3039, p. 90, "Bureaucracy and a Culture of Excellence"
↑ Field Manual: ComStar, p. 89, "The Star League"
↑ 18.0 18.1 Field Manual: ComStar, p. 89, "Renewal"
↑ Dawn of the Jihad, p. 99, "Borrowed Time"
↑ Jihad Turning Points: Dieron, p. 7, "Eridani Light Horse"
↑ Blake Ascending, p. 288, "Columbus Falls!" ↑ Jihad Hotspots: 3070, p. 128, "Columbus Falls!" ↑ Blake Ascending, p. 288, "Over and Out"
↑ Jihad Hotspots: 3070, p. 128, "Over and Out"
↑ Wars of Reaving, p. 96, "Sandbagging the Breach"
↑ Wars of Reaving, p. 91, "Death Rides Forth"
↑ Wars of Reaving, p. 192, "Ariel Suvorov"
↑ 29.0 29.1 The Star League, p. 88, "Preparations and Negotiations"
↑ 31.0 31.1 31.2 House Davion (The Federated Suns) , p.146 (p. 148 PDF), "Mercenary Units Currently Employed By the AFFS"
↑ 32.0 32.1 32.2 Historical: War of 3039 , p. 140, Deployment Table"
↑ 33.0 33.1 33.2 33.3 33.4 33.5 33.6 20-Year Update, p. 24, "Terra Firma Operations Area"
↑ 34.0 34.1 34.2 34.3 34.4 Objective Raids, p. 22, "Pasig Operations Area"
This page was last edited on 9 April 2019, at 21:02.